Highway and bridge contractors added 12,300 more workers to their payroll in January 2015 compared to January 2014, an increase of 5.4 percent, according to the latest data from the U.S. Bureau of Labor Statistics. Though this is the highest level of January employment since 2008, jobs in this sector have remained at low levels for the past six years. 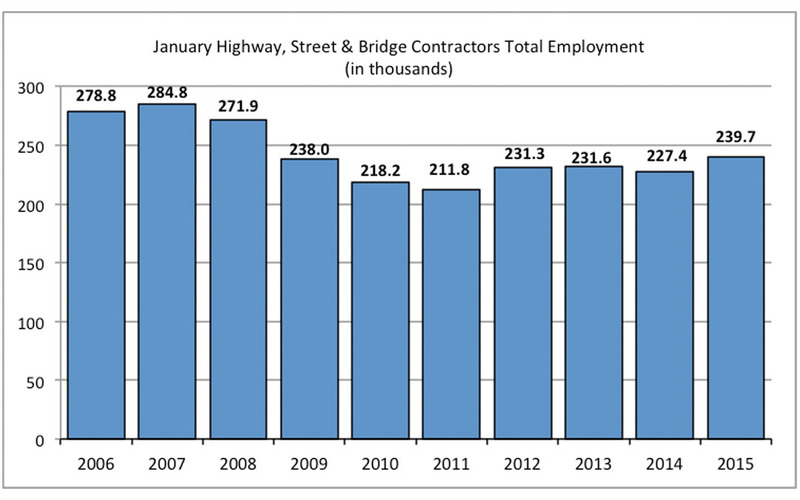 January 2015 highway and bridge contractor employment is still down 12 percent from 2007 pre-recession levels. The sluggish employment levels in recent years are in line with overall market trends in highway and bridge contracts. 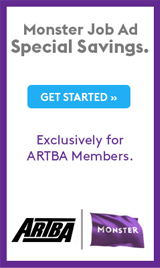 Contract awards are a leading indicator of future market activity and industry employment. State and local governments also awarded a slightly higher value of highway and bridge contracts in January compared to January 2014, but values are still below pre-recession levels. The value of total 2014 awards was down 15 percent compared to 2013, and down nine percent compared to 2007 levels. The outlook for highway and bridge construction employment for the remainder of 2015 will depend on a variety of market factors, including contractor backlogs, the value of construction work, developments regarding the federal aid highway program and the overall economy.